Amid a wave of consolidation in the gold mining space, as spending on new mines has dried up since 2011, billionaire investor Sam Zell is buying the metal for the first time in his life, because he sees opportunities stemming from an expected shortage in supply. 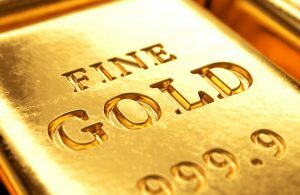 Gold didn’t perform as well as many might have expected during the market volatility of Q4, but some investors see it embarking on its strongest rally since the crisis after years of lackluster returns as global economic growth slows and investors look for somewhere to hide. That and the impending supply crunch that Zell envisions from the drop in new mining capacity—the capacity of unmined gold still buried in existing mines shrank by 40% in 2017—are two reasons why Zell has been buying. And although the official rate of inflation has started to decelerate in recent months, signs that the actual rate of inflation in the underlying economy is higher than it might appear could also be a positive for gold.